The Uzzell collection spans across generations, telling the stories of the collectors and of the evolution of the team. 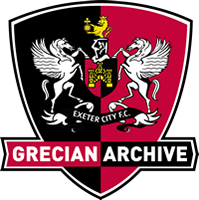 The ECFC has played a vital role as a community center for Exeter, even when fans move away. An insight into a cheeky notice that marks the moment when the ECFC was brought into the national spotlight. The Uzzell collection gathers evidence of ECFC's history which otherwise might have been lost to time.